This requires a Vitamix, or a great blender. Simple, healthy, low cal, delicious. 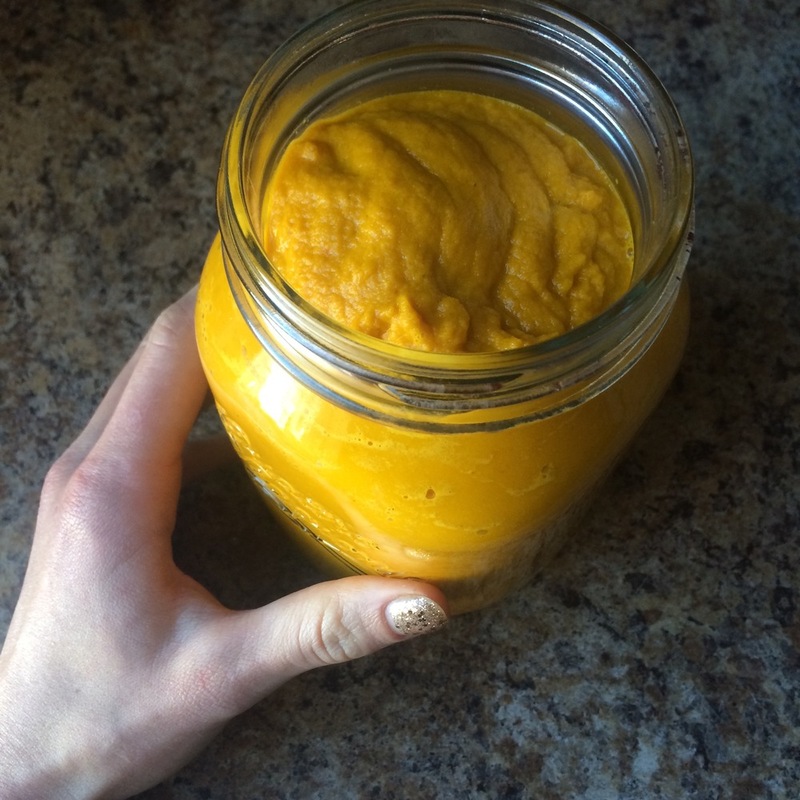 2 C carrots 5 oz coconut milk 1 C sweet potato, squash or pumpkin (This is the non-raw part of the recipe as squash should be steamed lightly. I recommend kabocha squash because you can and should include the nutritious skin.) 2 C water or vegetable broth (I used water. Don't love broth bc of the salt but it's not a terrible thing.) 4 cloves garlic A thumb of fresh ginger 1 tsp curry powder Sea salt, pepper and cayenne to taste. I don't measure - but not more than about a teaspoon of cayenne.